We offer e-mentoring material to help you become the best mentor! 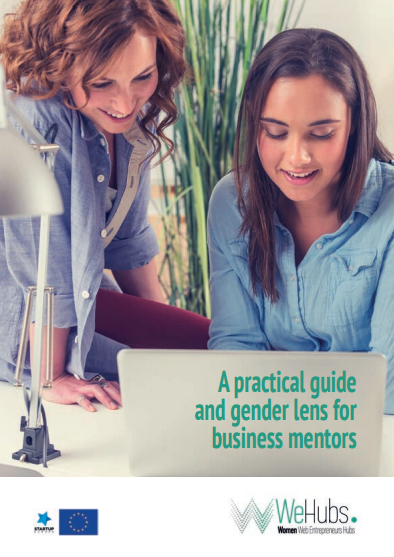 WeHubs has produced a practical guide and gender lens for business mentors. You will learn the basics of what it is business coaching and practical tips on how to become a good mentor. You will also find examples of useful mentor questions and how to avoid gender biased language. After that, watch the three available, motivational videos on how to become a successful mentor. You will witness extreme situations to realize the impact of one's actions and what a mentor should do to open a mentee's horizon and help them think out of the box. After all, your mentee should be treated and valued like any other business relationship. Finally, take our short quiz to test your mentoring skills and how you'd handle these situations. Don't forget to create an account and register on our website to read the guide. Be part of WeHubs network and join the first online community that brings together women and business support organisations. Listening - Questioning - Challenging! Watch this extreme scenario between a mentor and his mentee. Mentor - Mentee relationship don't have to be the perfect fit! As a mentor use your business inside experience. Look behind the words and ask the right questions to identify the real issues. Test your mentoring skills by taking a quick quiz!